Clinton requested for her security clearance to be withdrawn after Trump revoked former CIA Director John Brennan's security clearance in mid-August. 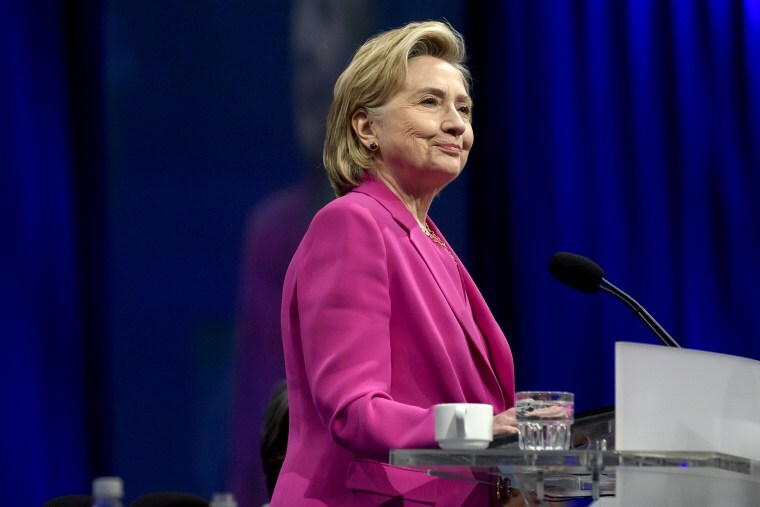 WASHINGTON — The State Department says former Secretary of State Hillary Clinton's security clearance has been withdrawn at her request. "I would consider it an honor if you would revoke my security clearance as well, so I can add my name to the list of men and women who have spoken up against your presidency," McRaven wrote in an editorial with the headline "Revoke my security clearance, too, Mr. President." The late August letter was meant to be received quietly because the former secretary of state didn't want her decision to make headlines and be used for "partisan purposes," according to Merrill. "Secretary Clinton has great respect for Admiral McRaven," Merrill wrote in a tweet on Friday. "She read this message & decided to take the step of voluntarily withdrawing her security clearance, which she maintained after leaving her post as Secretary of State to write her book, customary for former Secretaries." Clearances for five other people Clinton designated as researchers have also been withdrawn, as well as clearance for aide Cheryl Mills. The Iowa Republican has been critical of Clinton's handling of classified information and has urged administrative sanctions. The State Department stated that this update is part of their ongoing review of their "mishandling" of the former first lady's non-government email server.